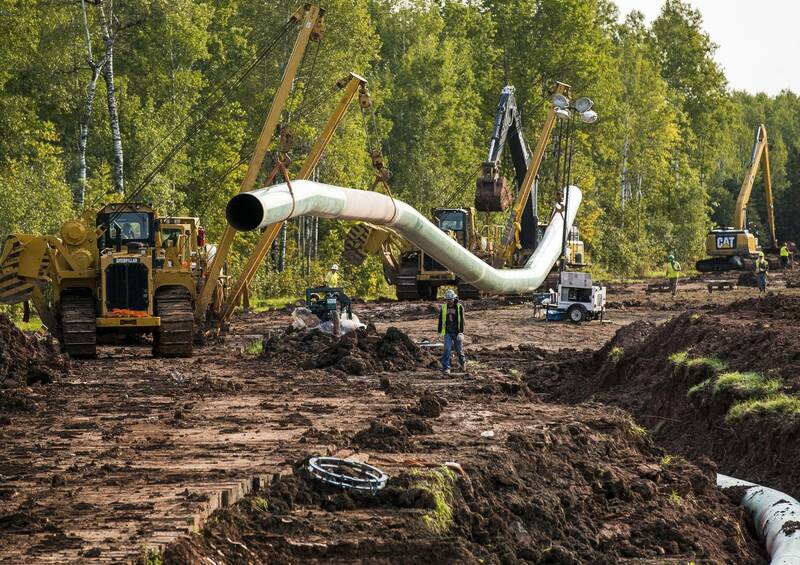 County officials in northern Minnesota are worried about large-scale protests if Enbridge Energy gets approval to replace its Line 3 crude oil pipeline, and have asked regulators to find a way to force the company to cover the costs to local governments. Susan Morris, president of the Association of Minnesota Counties, made the request in a letter filed with the state Public Utilities Commission, which is expected to decide next month whether to approve the project and, if it's approved, what route it should take across Minnesota. The letter, sent late last month, was posted on the PUC's electronic docket Wednesday. "Potential county expenses related to this project cannot be anticipated or budgeted because they are out of the ordinary for counties," Morris wrote. "These may include law enforcement costs related to site security and crowd control in the event of protests, solid waste management issues, and costs related to county emergency management." Construction of the Dakota Access pipeline in neighboring North Dakota drew thousands of self-described "water protector" protesters to the Standing Rock Reservation area in 2016 and 2017, resulting in sometimes-violent skirmishes with law enforcement and 761 arrests over a six-month span. Some activists have threatened a repeat in Minnesota if the Line 3 project moves forward. Protests at construction sites near Superior, Wis., have already led to several arrests. In Minnesota, protesters have gathered at pipe storage yards and founded encampments on or near Ojibwe reservations in the northern part of the state. North Dakota's protest-related costs hit nearly $38 million. 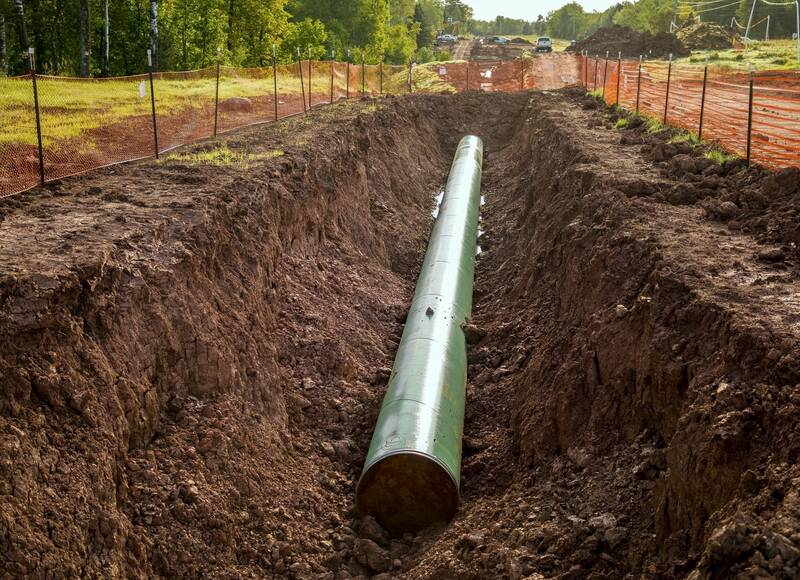 The developer of the Dakota Access pipeline, Texas-based Energy Transfer Partners, gave North Dakota $15 million to help cover those bills, and the state got a $10 million grant from the U.S. Justice Department. But North Dakota still hopes to recoup more of the costs from the federal government. Morris, an Isanti County commissioner, wrote that the costs would strain limited local resources, and that counties elsewhere across Minnesota may be called upon to provide mutual support. She didn't make a specific proposal for how local governments should be compensated. Calgary, Alberta-based Enbridge says Line 3, which was built in the 1960s, needs to be replaced because it's increasingly subject to corrosion and cracking, and can operate at only about half its original capacity. The proposed new line would start near Hardisty, Alberta, clip the northeast corner of North Dakota and run across northern Minnesota to Enbridge's terminal in Superior. 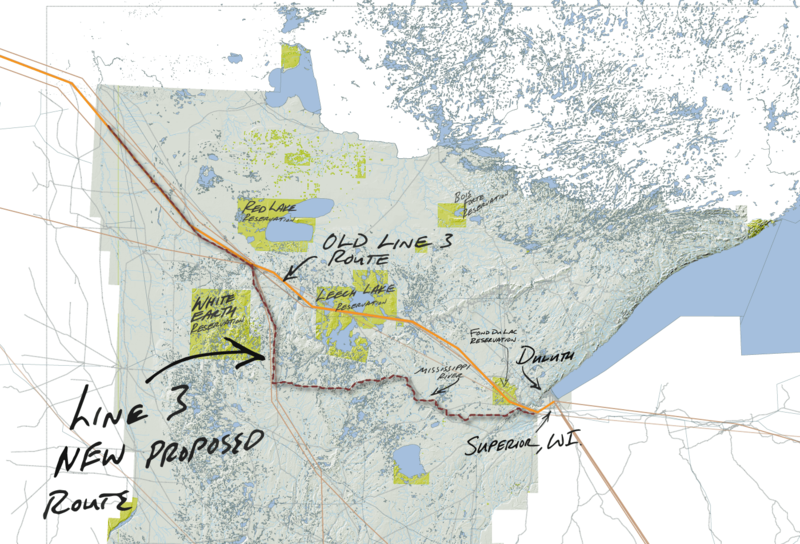 The proposal has drawn strong opposition because Enbridge's preferred route would cross environmentally sensitive areas in the Mississippi River headwaters region where Native Americans harvest wild rice and hold treaty rights. Last month an administrative law judge issued a nonbinding recommendation that the PUC approve the project, but require it to use Line 3's existing trench rather than the company's preferred route, which bypasses two reservations on the existing route where tribal governments have made it clear they won't consent and want the pipeline removed altogether. Minnesota Gov. Mark Dayton said last week that he didn't see "any viable way" to use the existing route given the tribes' positions. Enbridge has said it will keep operating Line 3 as it exists if the replacement isn't approved.